Is Baseball the Quintessential Writer’s Sport? Nowadays, baseball uniforms make for an appropriate and seasonal Halloween costume. Thanks to an extended season, the major league baseball schedule often runs through the Halloween holiday. 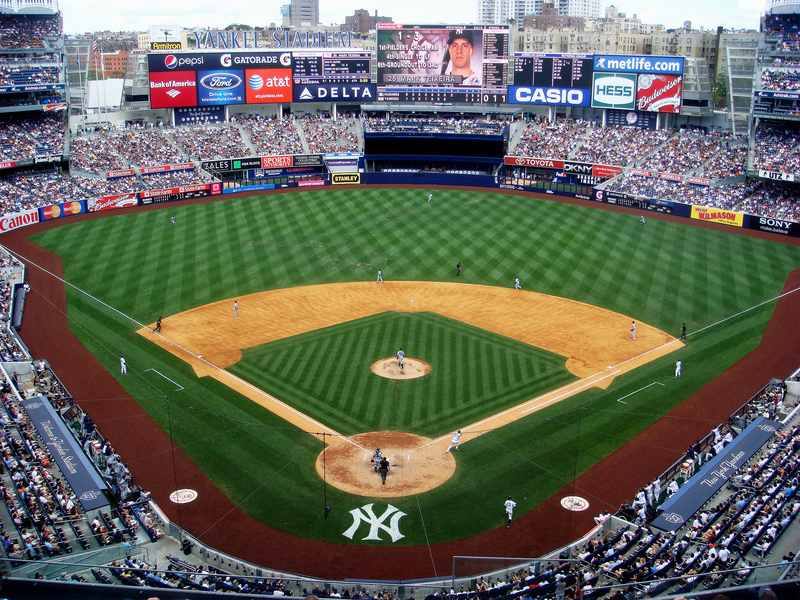 This year game four will be played on October 31 at Citi Field in New York City. The game will feature the New York Mets and the Kansas City Royals. It’s October again. So, when all is said and done, there is no denying it, it is a great month for sports fans. Pro hockey and basketball are just getting going, while football players have been involved in professional competition for over a month now. But the climax comes when the National and American League winners meet after a lengthy post season of elimination games. In the final meeting at the World Series, tens of thousands will attend each game, while millions more will watch the popular sporting event on TV. 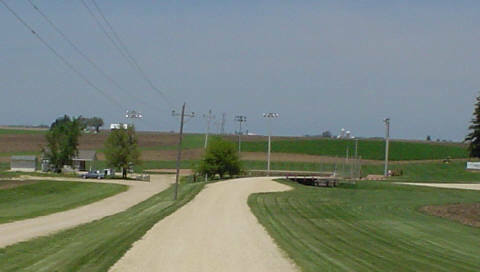 Most likely baseball began in settings similar to this prairie cornfield depicted in the popular baseball movie, Field of Dreams. The game was initiated in the 19th century and for years and years the sport attracted small crowds. As the sport became more popular, industrial and urban businesses often hosted teams and thus built playing fields and of course stands where spectators could come watch the game. If you want to rate the many movies that revolve around the world of baseball, both professional and amateur, a handful of films come to mind. These include Bull Durham, Bang the Drum Slowly, A League of Their Own, Damn Yankees and The Bad News Bears. Another baseball movie that continually receives high ratings is Field of Dreams. This is also the quintessential story that equates baseball with the writing profession, for in this story, one of the major characters is a man by the name of Terence Mann (played by James Earl Jones). Although Mr. Mann does not write about baseball, he agrees to attend a baseball game, after he is approached by the main character, Ray Kinsella (played by Kevin Costner). This starts a liaison between the two characters that lasts for most of the movie. Though Damn Yankees was a successful and popular Broadway play, the story was also developed into a popular and entertaining movie. The original story revolves around a timeless Faustian tale, where an avid Washington Senators fan makes a deal with the devil, so that his team can beat those “Damn Yankees” and win the American League pennant. Not many baseball stories make it on to the NYC stage, but this popular tale about the Yankees ran for several years on the popular Manhattan venue. The subsequent movie followed closely to the stage production, including many of the same musical numbers. Reportedly, a new version of Damn Yankees is in the works, starring Jim Carrey and Jake Gyllenhaal. Nowadays, there are a large number of sports and athletic contests that either produce a host of enthusiastic participants and/or bring in many spectators to witness the event. Strangely enough, none of these gatherings seems to summon forth the storytelling instinct better than baseball. Why is that? Certainly, there are more action-packed sports, but a good story does not succeed on fast action alone. It needs a good setting, strong characters and perhaps most important of all, conflict. And then somehow that conflict must be resolved before the tale ends. Perhaps it is the structure of baseball that attracts the writers. Everywhere you turn, the game is measured. A baseball game consists of nine innings, where each team gets a turn to bat. Three outs ends one teams turn to come to the plate, hit the ball and perhaps score runs. Each batter gets three strikes before he strikes out and four bad pitches before he might move to first base. All of this is fine and dandy, but I guess the real essence in the contest, turns on how small incidents can determine the final outcome, where one team is victorious over the other. Just a dropped ball, a stolen base or a timely double play can change victory into defeat or vice versa. And that, my friends, is also the essence of many a good story. Yogi Berra passed away this week. He lived to the grand old age of 90 until he succumbed a thing eventually takes us all. It’s called death. Though Yogi was a great player and manager, he also wrote books (nine by my count). 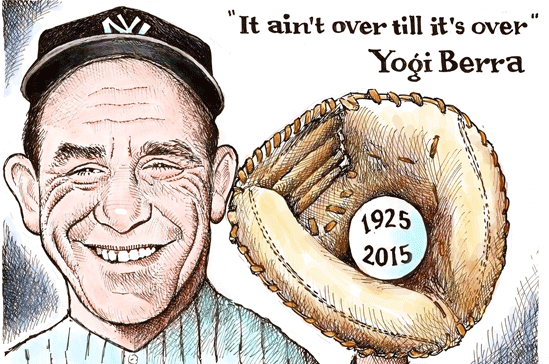 Nonetheless, even though Yogi played in ten World Series (most ever), made the Baseball Hall of Fame and managed teams from both the National and American League that made it to the World Series, he will still be most remembered for his one liners. Now that’s testimony to the power of the spoken word. How many contemporary writers can claim to have had as much to say (and remembered) on the American psyche as Yogi Berra……Damn few. If I didn’t make it baseball, I wouldn’t have made it workin’. I didn’t like to work. All pitchers are liars or crybabies. Little league baseball is a good thing because it keeps the parents off the streets. You can’t hit and think at the same time. When you come to a fork in the road take it. I didn’t really say everything that I said. And as far as Yogi Berra’s funeral went, I haven’t read any press accounts, but I can only imagine that it was very well attended. And though we haven’t heard too much from the man lately (last book, You Can Observe a Lot By Watching, published in 2009) , nobody has captured the true essence of baseball as Yogi did with his catchy one-liners….that is…..back in the heyday before we had designated hitters and World Series games that are in competition with Halloween. Baseball just ain’t what it used to be. 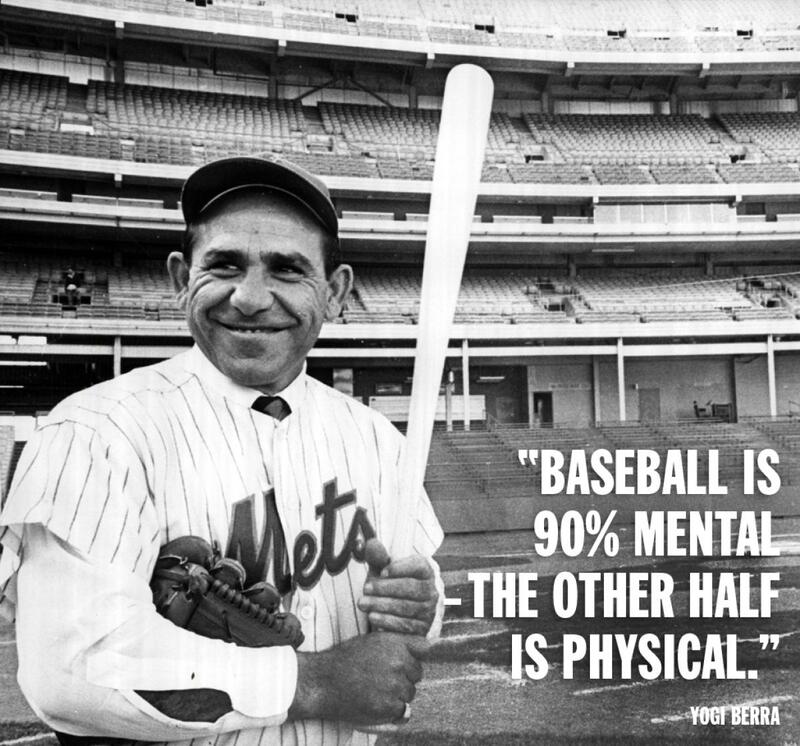 Yogi Berra understood the true essence of baseball. Why Creative Writing Is Like Playing In An Empty Baseball Stadium! The recent death of Freddie Gray of Baltimore sparked a series of events that evolved into something more than just an expression of civil disobedience concerning police brutality. The end result was more like a series of protests, where some of the events turned into riots, requiring a police and national guard presence. I know that the whole situation sounds bad, but I do recall as a high school student in the very same city, we received an unscheduled school holiday, when Martin Luther King was assassinated and parts of the city were embroiled in major rioting and looting. And in those days the issues were probably more elevated and intense than recent events, yet despite the seemingly uncontrolled venting of rage, change did come to the city. Even with the recent events in Baltimore, there does seem to be a pathway available to address some of the public issues. 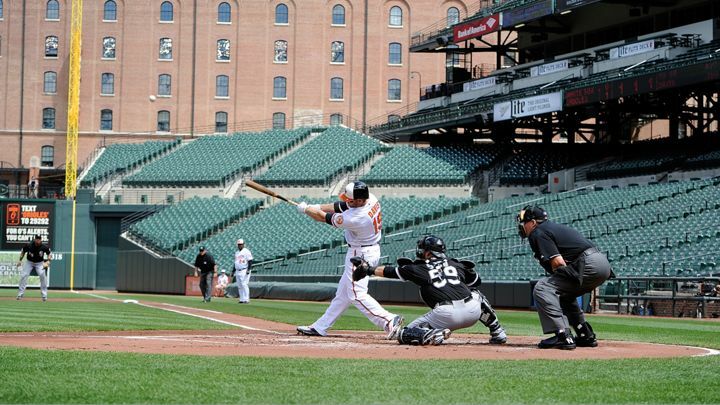 However, one of the most striking (and surreal) images of the recent riots was the pictures of the Orioles baseball games, where no fans were allowed to attend because of the possibility of disruptive outbursts directly related to what was going on in the streets of Baltimore. When I first saw the pictures of the empty stadium on the news, my thoughts did not go to the street protests, but to the baseball players, who were continuing their professional game, even though no one was present in the sports arena. And it was here that I saw a situation that I could relate to…….more than any picture that emerged from the Baltimore conflict. Currently, the games have resumed at Camden Yards and legal charges have been brought against six city police officers in regards to the death of the one person who was in police custody. I have no idea how relations between the city police and the city minorities will evolve, but I do believe that the baseball season in this city will return to normal, if it hasn’t already. For those writers in the audience, especially those that are just starting out, they may often find themselves in a situation, where the only people aware of their creative activities are those, who are also in the game. This is quite normal for anybody, trying to pursue a writing career or for someone participating in any of the other arts. Perhaps, the most important point here, is that this should not affect how one plays the game. For I’m sure that on those cool days of late April and early May, when not a soul was ateending the game in person, the participants were still playing just as hard and using their athletic skills to the best of their ability. In other words the presence of an audience doesn’t matter, all that much. Further contemplation upon this subject leads to the appreciation of one of my favorite baseball movies of all times, Field of Dreams. Not only does this film feature a wild-eyed dreamer, who wants an audience for his game, but also there is this savvy older writer, who understands the game all too well. 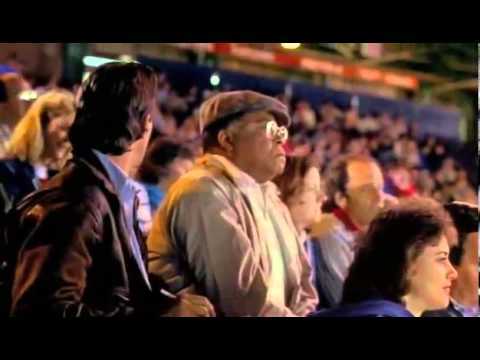 Maybe one of the most memorial images in the movie is when Kevin Costner and James Earl Jones are watching a major league contest, while discussing the issues of the day. In other words, they know how to be part of the audience, though the their goals might be much bigger. And here is what I am trying to say, and that is as a writer (or artist) you cannot be too concerned with your audience……just concentrate on your skills as a player. That’s all you can do….the rest is up to fate.